Ottawa is one of the most beautiful G8 capitals in the world. A thriving international technology and business centre and world class tourism and convention destination, Ottawa is also rich in culture and heritage with its many national institutions, parklands, waterways and historic architecture. It is home to a large number of foreign embassies and is a recognized centre for both academics and professional training. The city offers an open and welcoming environment to cultures from around the world, providing service in English, French, and a host of other languages. A population of over 1.2 million makes the Ottawa region the fourth-largest urban area in Canada. Ottawa is also the home of government organizations such as the Government of Canada, Parliament, the Senate, and the Supreme Court of Canada. With the highest-educated workforce in Canada, Ottawa has more engineers, scientists and PhDs per capita than any other city in the country. In Ottawa, there are exciting things to see and do all through the year. Whether your interest is culture, history or simply natural outdoor attractions, Canada’s Capital region offers a unique combination of both. 30 museums. 50 galleries and theatres. Ottawa is home to Canada’s majestic Parliament Buildings, the bustling Byward Market, and the beautiful Gatineau Park. From the internationally-renowned National Gallery of Canada, and the National Arts Centre, to the NHL’s Ottawa Senators, the Canadian Museum of Civilization and the restaurants, shops and cafes of the city’s dynamic downtown core. For more information about Ottawa and to learn more about the Muslim community, please click the above links and enjoy the videos. Chelby Marie Daigle discusses her new role with Muslim Link, the challenges the paper faces in terms of sustainability and capacity. She shares her hopes for how the paper can better meet the needs of Ottawa's Muslim community, particularly in providing a forum for Ottawa's Muslim to learn about each other, and explore the community's diversity. 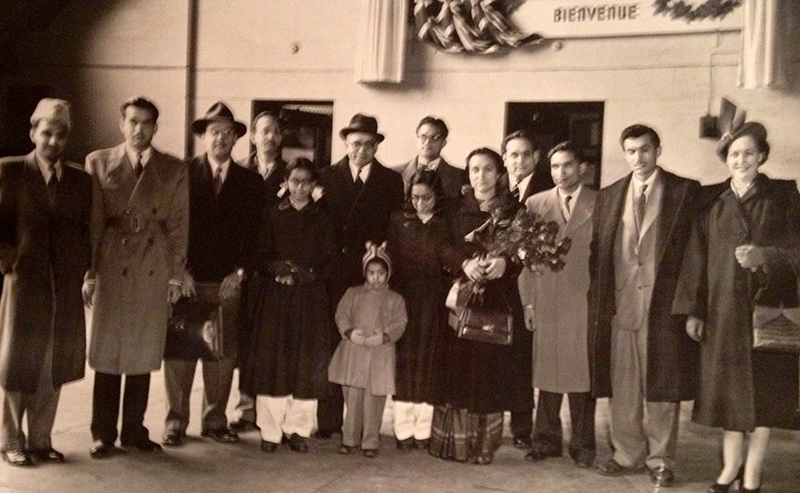 Arrival in Ottawa: Naz Ikramullah and her family arrive in Ottawa in 1953 to much fanfare. The family's comings and goings were regularly reported in the Ottawa Journal. 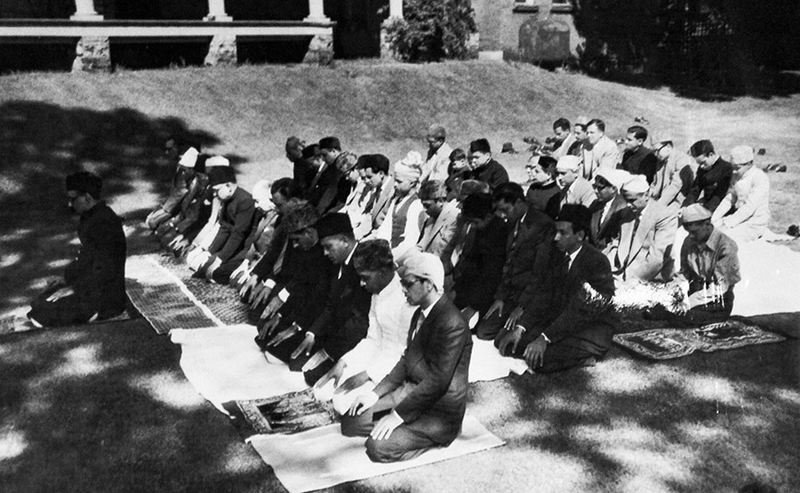 First Eid al Fitr Celebration at Pakistan High Commission 1953: Naz Ikramullah's father, Canada's first Pakistani High Commissioner, organized an Eid al Fitr celebration at the Pakistani High Commission in Ottawa in 1953. Members of the community gathered from as far away as New York City. 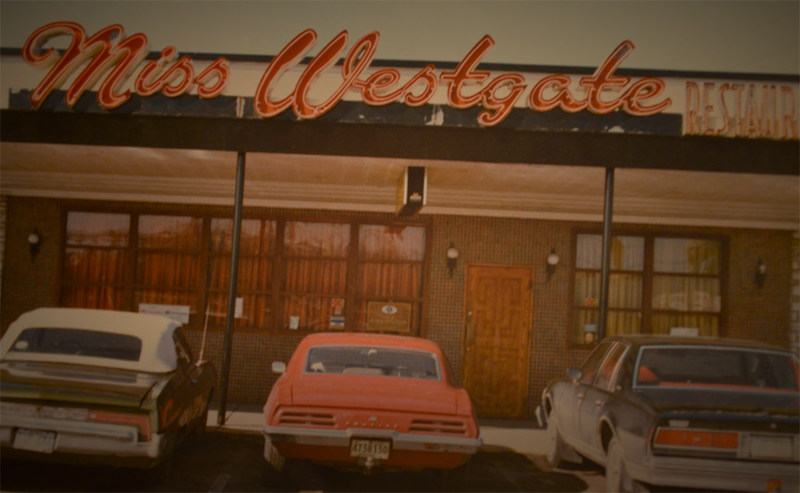 Miss Westgate: Nusrat Bejkosalaj ran the popular restaurant Miss Westgate, which would employ many of Ottawa's first Muslim Lebanese immigrants. Nusrat Bejkosalaj came to Ottawa in 1949 as a refugee from Albania. In order to get chosen to come to Canada, this privileged son of landowners claimed to be a farm hand! Nusrat Bejkosalaj would eventually go on to own the popular restaurant Miss Westgate which ended up employing many of the city's earliest Muslim immigrants. An acclaimed visual artist and educator, Naz Ikramullah came to Ottawa in 1953 with her father who was Canada's first Pakistani High Commissioner. She eventually returned to Ottawa after her marriage in 1968. Naz reflects on her early memories of the city when she came in 1953 and returned in 1968. Albanian Canadian Shano Bejkosalaj, who came to Ottawa in 1957 when she married Nusrat, reflects on the diversity of the early community which came together to build Ottawa's first mosque. Many were workers from a village in Lebanon called Majdel Balhis. They worked in her husband's restaurant Miss Westgate. The Ottawa Muslim Association (OMA) is a grass-root charitable Muslim organization governed by the guidance provided in the Holy Quran and the Sunnah (teachings) of Prophet Muhammed (Peace Be Upon Him) to serve Muslims in the greater Ottawa Community. You can find 30 Masjids' article on the Ottawa Muslim Association here. I arrived at the Ottawa Muslim Association on my way back from from Montreal, Quebec. It was nearing sunset and Muslims were getting together at the mosque to prepare to break their fast. The spirit of unity can really be seen in Ramadan when the community breaks their fast together at the mosque.